Today marks the one-year anniversary of when a white police office (Darren Wilson) shot and killed an unarmed, black teenager (Michael Brown) in Ferguson, Missouri. The ensuing year brought many other such moments - in New York City, North Charleston, Baltimore, and more - and lots of public discussion about issues of race and policing. 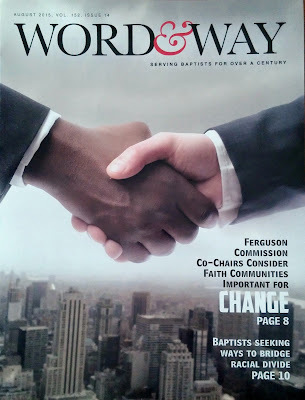 For the August issue of Word&Way (a Baptist magazine in the Midwest), I wrote the cover package on Ferguson and race. It landed in mailboxes - mostly in Missouri - in the middle of last week. People who pick it up in churches likely just saw it today. 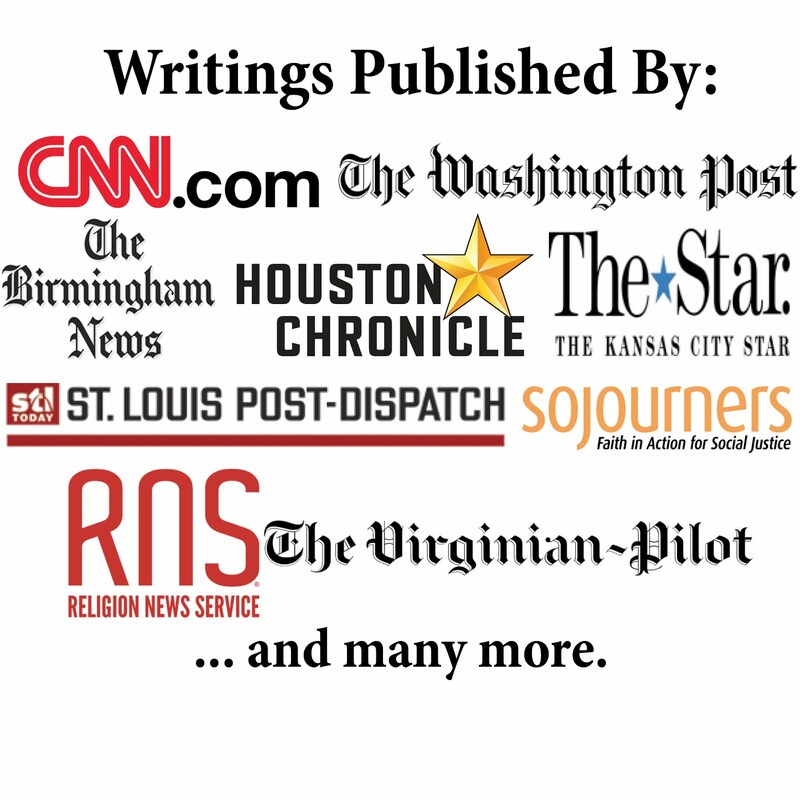 The first article, Ferguson Commission Co-Chairs Consider Faith Communities Important for Change, features comments from Rich McClure and Reverend Starsky Wilson. As the co-chairs of the Ferguson Commission, which was created by Missouri Governor Jay Nixon to offer public policy recommendations, they both emphasize the role churches and faith leaders play in improving communities like Ferguson and the whole St. Louis metro area. The article also includes comments from Scott Holste, Nixon's press secretary. The second article, Baptists Seeking Ways to Bridge Racial Divide, looks beyond Ferguson to consider how some Baptists are seeking to bring healing in St. Louis and elsewhere. The article includes comments from Jim Breeden, executive director of St. Louis Metro Baptist Association; Harry Riggs, pastor of First Baptist Church in Lincoln, Neb. ; and Terrell Carter, a former police officer who now serves in various ministry and community roles. Carter led an event yesterday in St. Louis called "A Day of Hope" and he spoke to me in the piece about that event. I hope the magazine article add to today's discussions. I previously tried to join the public dialogue by offering a few reflections on Ferguson (see here, here, and here). I also addressed Ferguson and related issues during my sermon at the Churchnet Annual Gathering. We must not remain blind or mute.